Originally registered in Northern Ireland and benefiting from an extensive rebuild by a most talented aircraft engineer there. 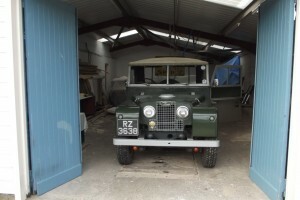 This series one has a low mileage 5 bearing 2.25 litre petrol engine at its heart. Allied to free wheeling hubs and an overdrive this combination provides practical performance capable of keeping up with modern traffic. Chassis and body are in excellent rust and corrosion free condition. Seats have been re-trimmed in the correct fabric and the hood is watertight in all but the very heaviest of downpours. Tyres are the correct size on the original wheels and are virtually new. 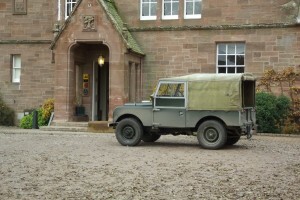 Driven to our premises from the Scottish Highlands! Flashing indicators and door mirrors have been discreetly fitted along with a battery indicator switch. A pair of period Hi-Lo Windtone Horns are also somewhat incongruously fitted in front of the grille. Worthy of particular mention are the panel gaps, check out the doors for fit and they way they close. 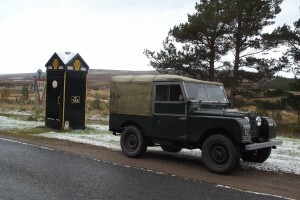 All in all, a very practical 60 year old Land Rover well capable of lasting a further 60 if cared for sympathetically. Still with its orignal Co.Antrim registraion number. Tax and MOT exempt. Also comes with its original set of wheels. NB: Although the logbook states it was manufactured in 1952 the car was manufactured in 1955.